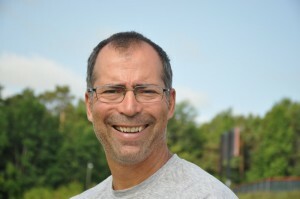 Willi Steinrotter was named the Alpine Ski coach at St. Lawrence in the spring of 2009. During his tenure, he has continued to grow the program into one of the best in the Northeast. He coached his first collegiate All-American in 2011, when Ashley-Kate Durham ’13 finished in third place overall at the NCAA Championships. Steinrotter then had three skiers earn bids to the 2012 NCAA Championships, the most in a season in program history. Steinrotter also works with the Saint soccer programs as an assistant coach. He came to St. Lawrence after serving as the head men’s soccer coach at Clarkson for 19 years, becoming the winningest coach in the program’s history. He coached his 1993 Empire Athletic Association championship team to the NCAA Division III semifinals and his 1998 team lost in overtime to St. Lawrence in the regional final. He had two national All America team members during his Clarkson tenure and 12 regional All America selections. He was 1993 EAA and NSCAA Regional Coach of the Year in soccer. Steinrotter, a 1989 graduate of Hobart and a skier/coach on the Hobart and William Smith club ski teams while in college, has the most wins as a coach in Clarkson soccer history in a 19-year career as coach of that sport and has taken several of his alpine ski teams to the U.S. Collegiate Ski and Snowboarding Association national championships. Steinrotter’s men’s and women’s alpine teams have been consistently among the best in the Adirondack region of the USCSA and his 2008-09 team produced two USCSA All America skiers. A former president of the USCSA, he took teams to five straight national championship meets from 2000-2004 and had a sixth place finish in the 2007 national championships.